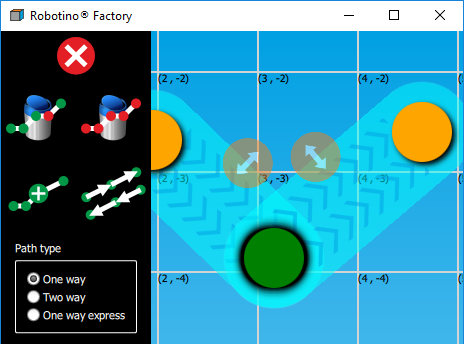 Robotino Factory is used to setup, control and monitor Smartsoft for Robotino. It is used to create the initial map of the environment, to define forbidden zones, pathes, positions and more. You can tell single Robotinos to drive to positions, cancel jobs or clear errors. This page was last edited on 20 July 2018, at 10:48.